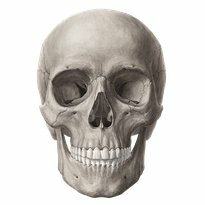 The skull is a complex arrangement of bones and serves mainly to protect your brain. 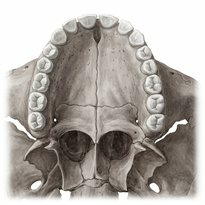 Here you'll learn about the bones that define the cranium. The head is comprised of many structures including the eyes, ears, nose and mouth, which aid in various sensory functions, such as sight, hearing and taste. 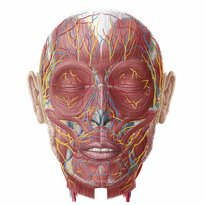 Superficial nerves of the face and scalp. 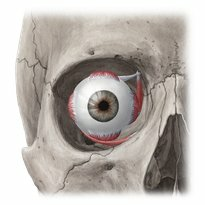 The bony orbit is the skeletal cavity or socket which is made up of several cranial structures and surrounds the soft tissue that make up the eye. Bones and bony structures of the orbit. Structure and contents of the orbital fissures and the optic canal. The nasal region consists of two main structures: nose, which defines the center of the face; and nasal cavity, an air-filled space above and behind the nose. The ear is situated bilaterally on the Human head. It is the motherboard for somatic balance and hearing. 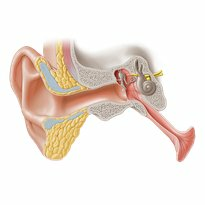 It can be divided into the outer, middle and inner ear. The teeth are anatomical structures that can be found in the oral cavity in both the upper and lower jaws. 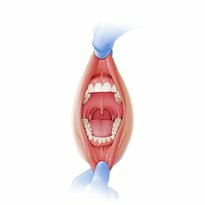 The oral cavity is an important internal area of the head and is the first part of the digestive system. It also plays a significant role in communication. Sectional block diagram showing the different lingual papillae. The pharynx is a muscular column running between the oral cavity and the esophagus. 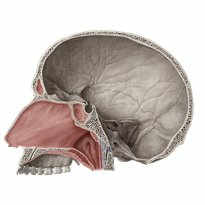 Each pharyngeal structure, including muscles and vessels, will be seen here. Overview of the muscles of the pharynx and related structures. 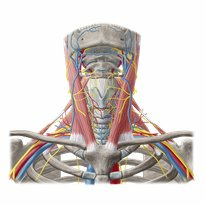 The neck is the part of the body that distinguishes the head from the torso or trunk. Many vital structures pass through this area of the body. 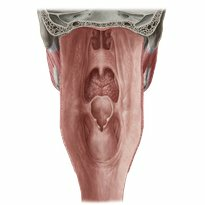 Detailed anatomy of the vocal folds and surrounding structures. 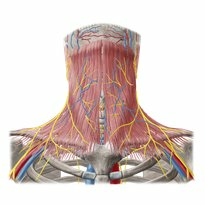 The head and neck are comprised of many structures that are supplied and innervated by arteries, veins and nerves found in this region of the body.